Pioneers in the industry, we offer electric e rickshaw from India. 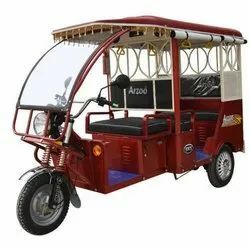 The On Road Price for our e-Rickshaw is Rs-120,000.00 STD Model and Rs 1,25,000.00 TOP Model complete with all accessories and paper work done. Colors Available : Red, Green, Blue, Orange, Purple, Silver, White etc.